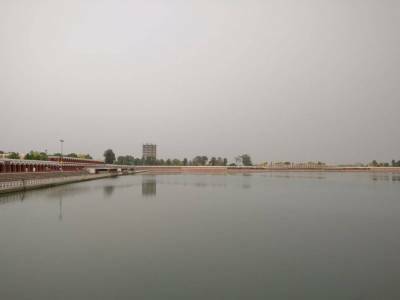 The Brahma Sarovar Kund is a big water lake, dedicated to the Lord Brahma and located in Kurukshetra, Haryana. 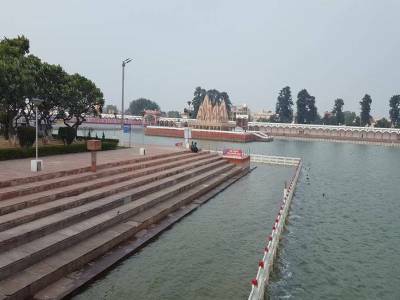 It is believed, the Brahma Sarovar was created by Lord Bramha during creating the universe and also believed, the hero's of Mahabharata's, the Pandava's offered their prayers and took bath in the Brahma Sarovar. The historic Sarovar has been renovated recently with modern facilities and pathways. 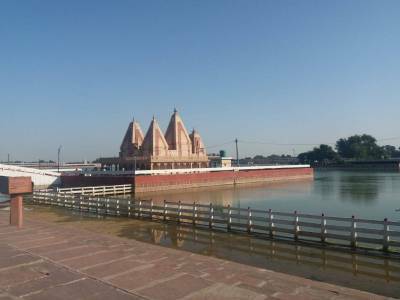 Brahma sarovar is very clean and center of attraction for Kurukshetra. Very large and picturestic place that hold historical significance as well as healing power by taking bath. The perimeter of the Brahma Sarovar Lake is approximately 3.4 kms makes it unique. 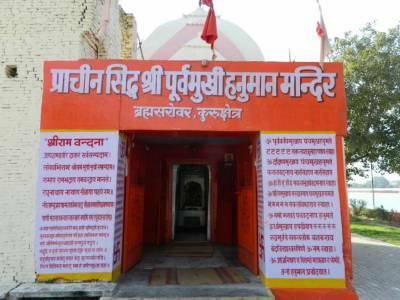 There is also a beautiful temple in between the Brahma Sarovar, and have a giant chariot of Lord Krishna & Arjuna in its premises and the popular lord Hanumanji's temple at the back side of the chariot and have an ancient water well. It is believed that Draupadi wash her hair in this water well after Mahabali Bheema killed Dushashana. The ghats of the sarovar are names after the most prominent characters of Mahabharata. Brahma Sarovar Lake is so beautiful, travelers love to spend time after watching the sunset and sunrise with its reddish-golden reflection in water. 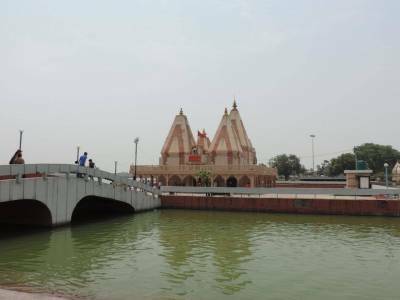 Brahma sarovar is about 3 KM from Kurukshetra Railway station and about 159 KM from Delhi, about 100 KM from Chandigarh, about 40 KM from Karnal and 58 KM from Ambala. Get quick answers from travelers who visit to Brahma Sarovar.